The Science and Engineering Quad is comprised of the 166,500 SF Yang & Yamazaki Environment & Energy Building (Y2E2), the 126,000 SF Huang Engineering Center (HEC), and the 102,000 SF Center for Nanoscale Science and Engineering (Nano Center). Each of the buildings is linked to the neighboring building by a common basement, and in some cases, a second-floor terrace. The buildings house offices, wet and dry laboratories, cleanrooms, a 300-seat auditorium, classrooms, meeting/conference rooms, a large social entry, two cafés, an amphitheater and a server room. After a year of extensive monitoring, the E&E Building proved a Net Zero Energy rating and received LEED Platinum EBOM. Phases 1 & 2 of the School of Engineering were constructed to LEED Gold equivalent standards. Stanford’s Science and Engineering Quad was awarded a Green Building finalist in the 2007 San Jose Business Journal Structures Awards. It was also named the Best Green Building in the 2008 San Francisco Business Times Real Estate Deals of the Year. 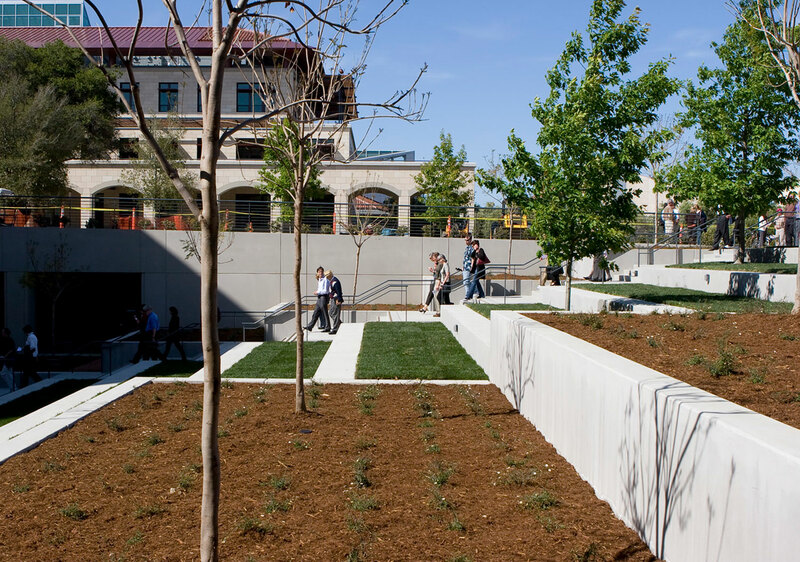 The Science and Engineering Quad was recognized with the Award of Merit, Green Building Category, in California Construction’s Best of 2008, and named in the 2010 AIA Santa Clara Valley Chapter’s Design Awards.